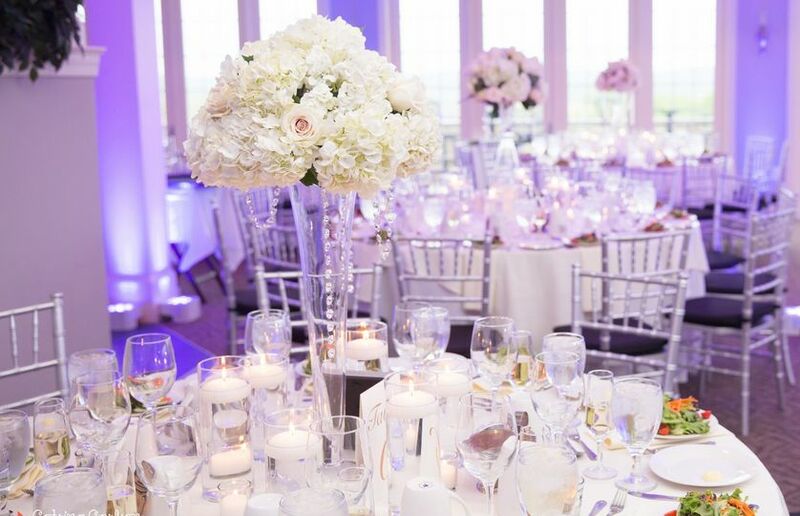 The View at Morgan Hill is a country club wedding venue located in Philadelphia. 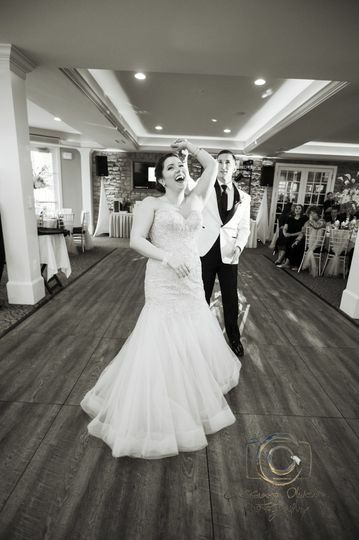 Perched at the top of Morgan Hill Golf Course overlooking Easton, Pennsylvania, this elegant venue offers panoramic views and a modern setting that provides a beautiful backdrop for your big day. 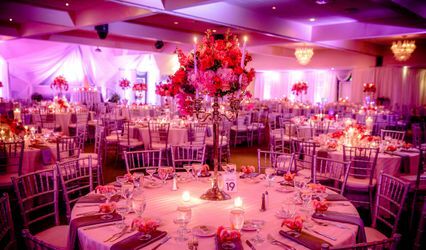 From your first visit at the venue to the final send-off on your wedding day, their professional staff will ensure that every detail is taken care of and that your vision for your wedding day comes to life! 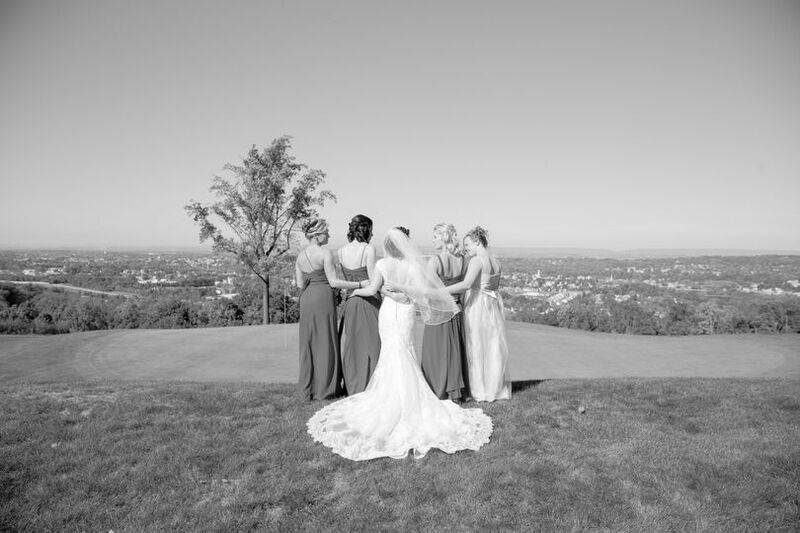 The View at Morgan Hill offers both an indoor and outdoor venues to host a memorable ceremony and reception. 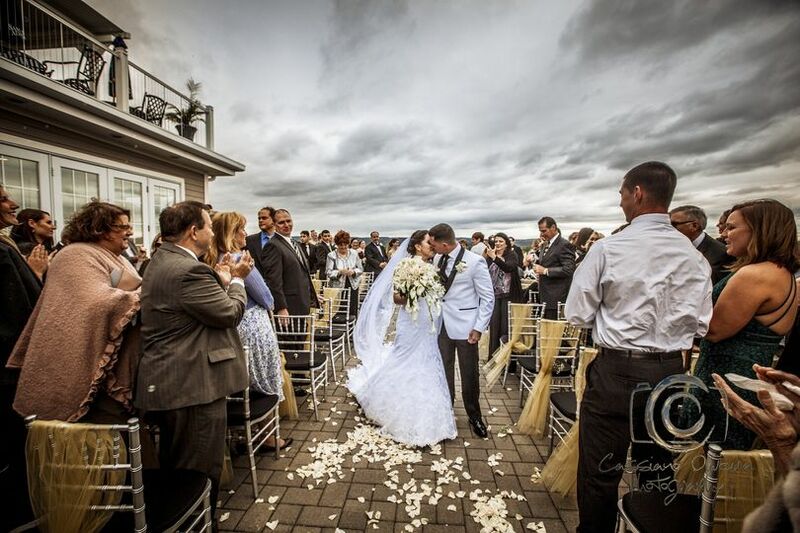 Say "I do" on their beautiful outdoor terrace, featuring scenic mountain and city views. 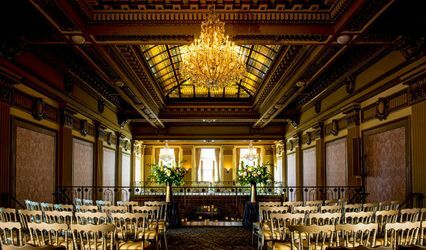 Their indoor Grand View Room is complete with fresh, modern design and decor, accommodating up to 150 guests for a private and intimate affair. They also provide a complimentary bridal suite to relax and get ready before the wedding starts. I have nothing but amazing things to say about Bradley and The Club at Morgan Hill. From our first interaction, Bradley was so professional, helpful, and accommodating. 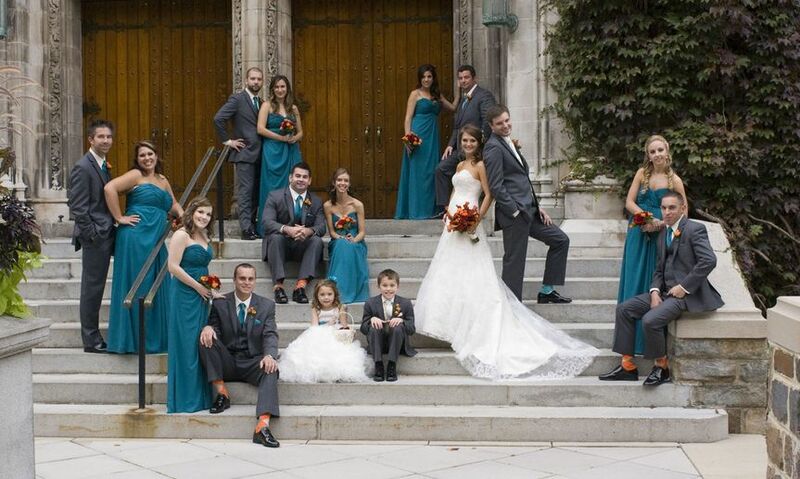 Nothing went wrong with our wedding day, mostly because Bradley was so organized. He and his staff were wonderful. Every need was met immediately. Our glasses were always full and my husband and I felt like royalty the way that they attended to our every need. 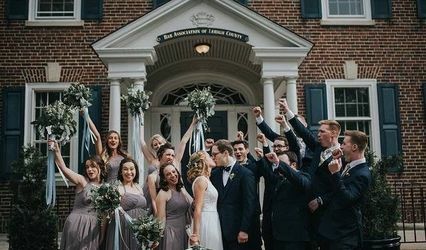 After the wedding, we found out that many of our guests felt the same way. The setting at Morgan Hill is beautiful. 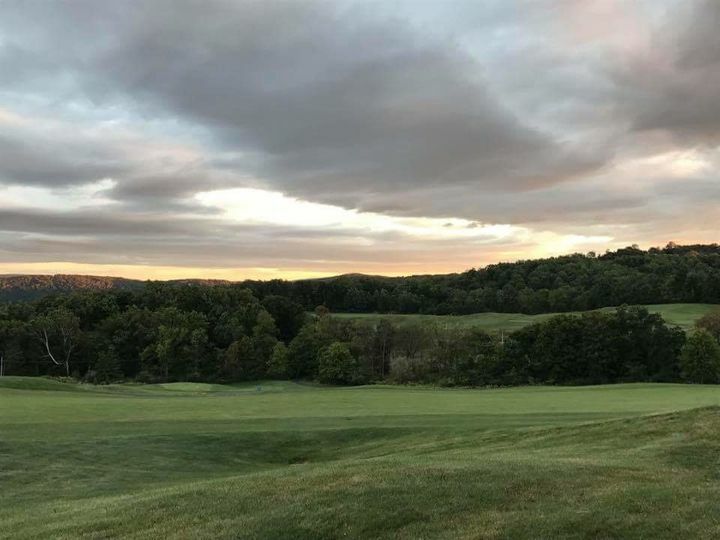 The patio where our ceremony was held has a fantastic backdrop of the golf course in the foreground and trees and mountains in the background. The deck where we had our cocktails shares the same view. You get a TON of food at the cocktail hour and it is all delicious. There are so many choices! We had a station-style dinner and the mashed potato bar was the talk of the night. They take a marble slab and put it over a steam tray and you can choose from a variety of "mix-ins" for your mashed potatoes (sweet or regular). Bradley and his staff served my husband and I first--carrying our plate for us--seriously I felt like princess for a day. Our wedding cake was included in our package and it was delicious. I can't wait until our anniversary to eat it again. Bradley also graciously allows you to bring in other treats, whether home made, or from another bakery, for dessert. The tent where the reception was held was climate controlled. The door was open for a while and it warmed up a bit but at the first mention of it feeling warm, it took 5 seconds and it was cool again. It was a beautiful evening so many of our guests mingled out on the patio all evening and we loved that the option was there for people to be inside or outside. Not only on the day of our wedding was everything wonderful, but we visited with Bradley on a few occasions, including our fabulous tasting, and he was always willing to meet and very flexible. Some venues we visited have a strict list of options for what is included, but Bradley is much more flexible. His attitude is that it's your wedding, so you should have what you want. I am sure that anyone who chooses Morgan Hill will not be disappointed. 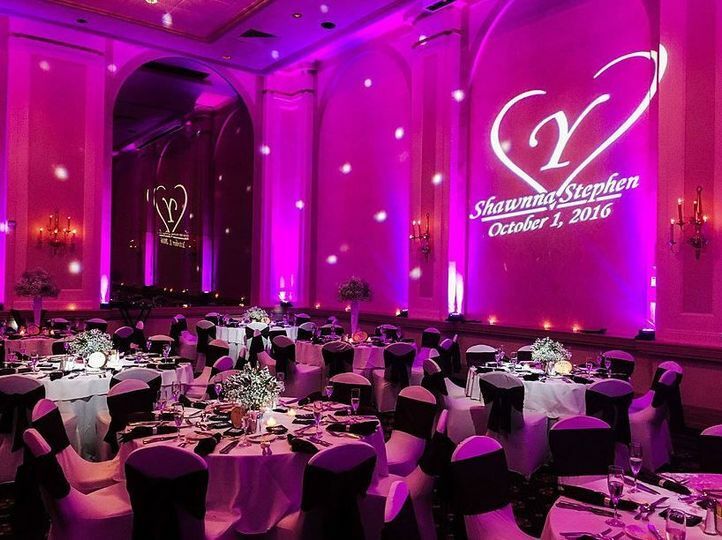 You have to see this renewed venue! The original venue offered an amazing view, service, food and part atmosphere - but was limited as it was under tent and although stunning, no where near what they have created here. 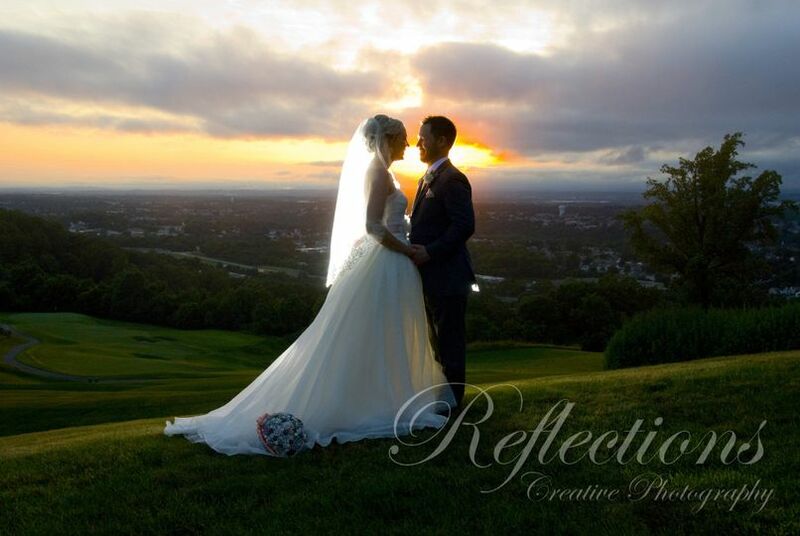 The view over the golf course, the outdoor ceremony site, the photo opportunities (being a photographer it&apos;s a must for me), stunning service and dining. It should definitely a must on your shopping list! 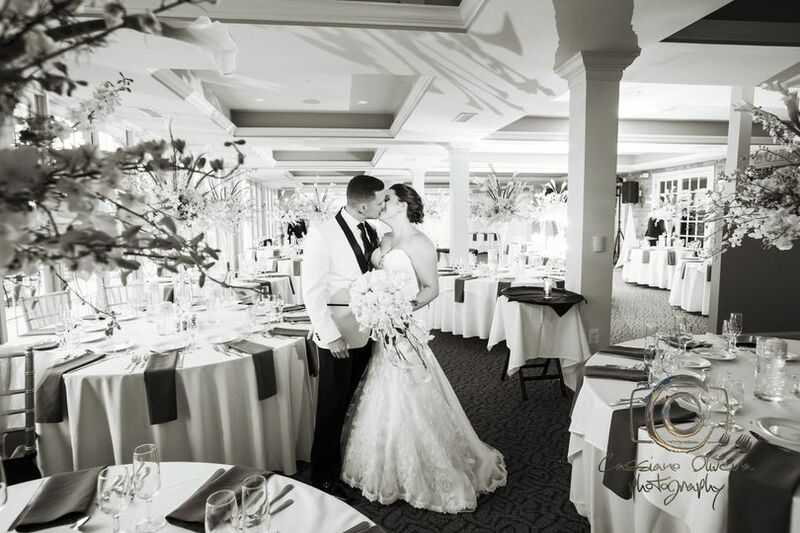 Tell Shannon - Lance & Linda sent you, then call us to photograph your Special Day!